Take advantage of this complementary lesson plan. 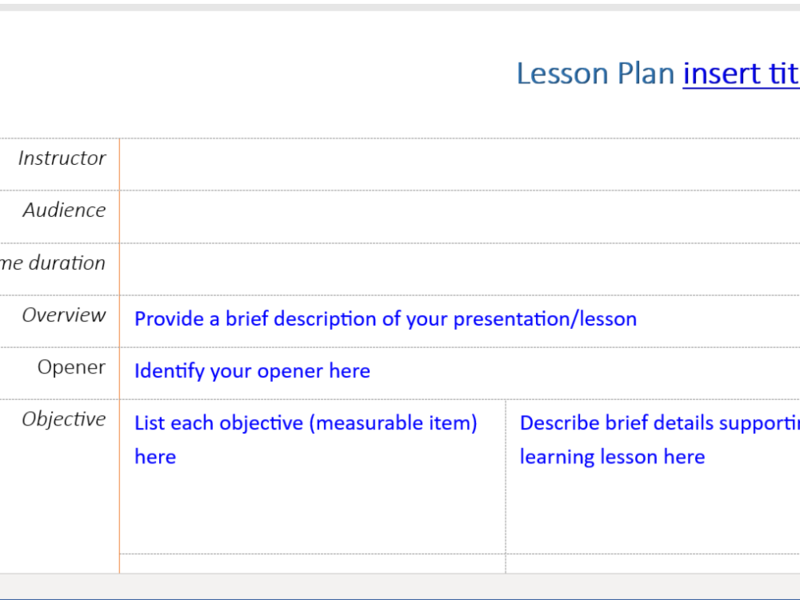 Easy format will help you stay organized and create a systematic style for each new lesson. This form is not for resale but intended for client use to create awesome lesson plans. Helpful for creating measure-able objectives.